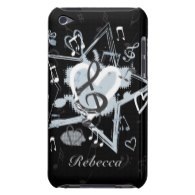 A collection of cases for the iPod 4 and the newer iPod 5 which feature music themed designs. Musicians and music lovers will be a fan of these cases featuring musical instruments, music notes, stereo systems and more. Designs for lovers of classical through to hip hop and all in between. for the iPod 4 which feature musical designs which will be a hit with musicians and music lovers of all styles and ages. Covers for the latest addition to the iPod family, the iPod 5. 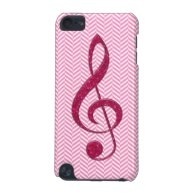 These cases features musical notes, instruments and much, much more.